Upgrade your closet by adding this trendy stole, Premium fabric adds to its appeal by making it soft to touch, It's attractive look accentuates it's visual appeal, This stole is an Irresistible style companion to rock your edgy autumn outfit, It is fashionable and extremely charming, Unique color of the stole gives an elegant and a glamorous look. These stole can easily pair up with any outfit and looks beautiful. 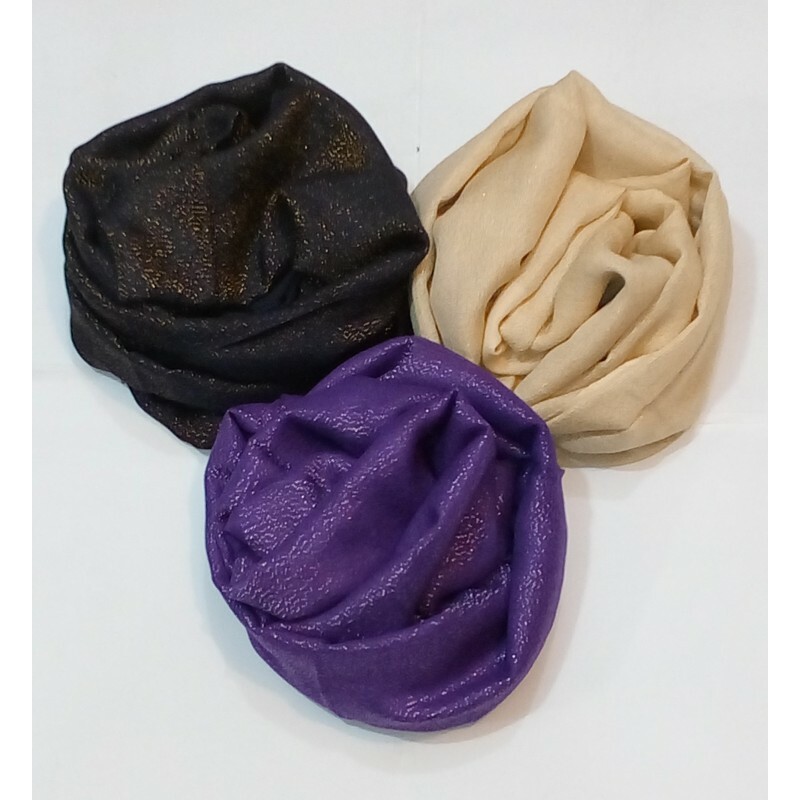 COD facility as well as online payment option is available for this Plain Glitter wrap scarf/hijab.